Reiki is a simple Japanese energy balancing technique and spiritual system that can be used for your own self-healing, to help others and for your own spiritual development. 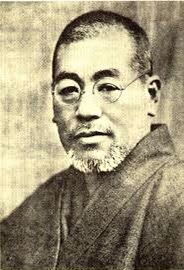 Reiki, as a system was developed in Japan in the early 1900’s by a man called Mikao Usui. Usui Sensei was drawing on existing and very old Japanese approaches to working with energy, found in Buddhism, Shugendo, Shinto and energy cultivation techniques. What he created was unique and very special. Usui associated with the most advanced and creative martial artists and energy workers in his time, and was well known as a healer. He developed an elegant and simple system where anyone can learn to connect to and channel energy for their own benefit and for the benefit of others, without having to train for years and years. 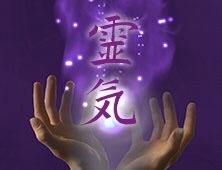 Reiki works for everyone and since Usui’s time it has now spread throughout the world. It is now practised by people from every continent and background, nationality and religion. Reiki helps you feel more calm, content and serene, it helps you to feel more positive and better able to cope, less affected by stressful people and stressful situations. Reiki can help to introduce more balance into your life on all levels. It promotes natural healing and can affect your health in a positive way. Many people have also found that Reiki has helped to fill a spiritual need , giving them a simple, non dogmatic system to use to experience their spiritual side without having to embrace any particular belief system. These are a quick few lines for more information please call, text or email me. I look forward to meeting you.